The LV-3B is an autonomous lander sent ahead of crewed landers such as the LV-3A. 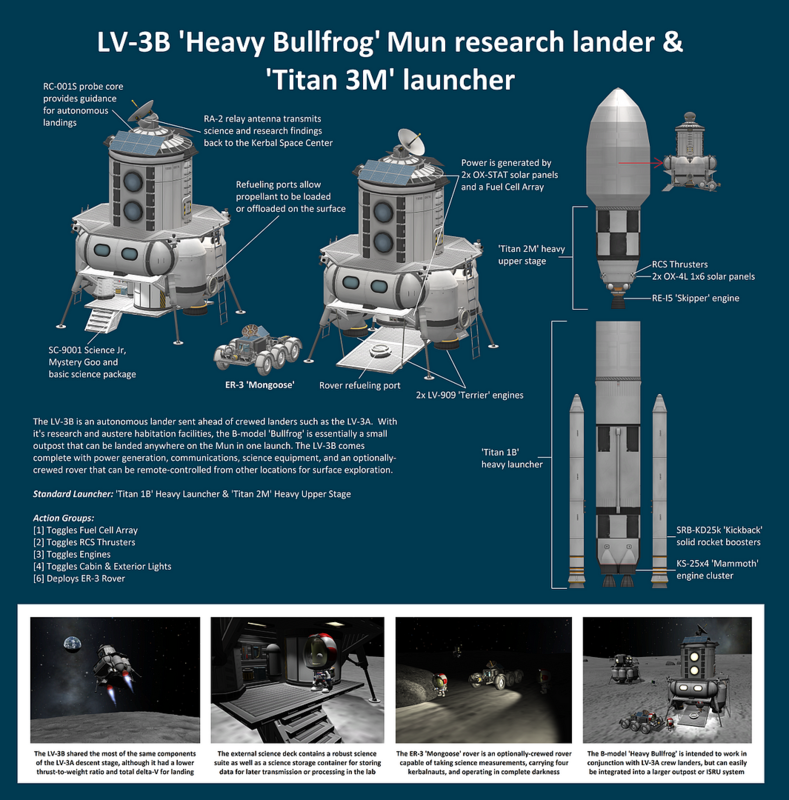 With it’s research and austere habitation facilities, the B-model ‘Bullfrog’ is essentially a small outpost that can be landed anywhere on the Mun in one launch. The LV-3B comes complete with power generation, communications, science equipment, and an optionally-crewed rover that can be remote-controlled from other locations for surface exploration.